The Rhode Island General Assembly recessed its 2014 legislative session at approximately 4:00 am Saturday morning, June 21st. Recess is more of a technical term as legislators don’t officially adjourn for the year until moments before the start of the next legislative session in January of 2015. This is done so that the assembly can gather again to deal with potential gubernatorial vetoes or any other issue that may arise before next January. As is usually the case, the legislature saw furious activity in the last few days of the session with hundreds of pieces of legislation being considered and passed by both the House and Senate with hundreds more ultimately being given the “thumbs down” by way of holding the bills for further study or in some cases, rejecting them outright. From start to finish, more than 2,000 bills and resolutions were introduced in both chambers. Many bills were ceremonial in nature and most resolutions are non-controversial. (Congratulatory messages, etc.) For our part, the Chamber of Commerce Coalition actively tracked more than 300 pieces of legislation this session. That number does not include the aforementioned ceremonial bills and resolutions. We provided testimony before 13 legislative committees on a number of occasions and advocated for or against more than 175 of those bills. Our legislative agenda is drawn up prior to the legislative session and approved early in the year, and not surprisingly, once again this year our top five policy areas of concern were budget and taxation, education, business regulation, labor and workforce and health care delivery and costs. Below is a synopsis of the top issues that the Chamber Coalition immersed itself in this session and the outcome. Overall, the Chamber Coalition was pleased with the passage of the Fiscal Year (FY) 2015 state budget. Although not every item that we would like to have seen included was, and not every item we would like to have seen excluded was, the budget represented a very positive step forward in tax policy and other related areas and will go quite some way toward bettering RI’s national business competitiveness rankings. Specifically, the budget bill closed the expected $67 million shortfall deficit in part by requiring state departments to identify money for the recently negotiated raises for state employees – which account for $24.3 million of the $67 million budget gap, with the rest caused by higher-than-expected human services caseloads – through their existing department budgets. Another $14.7 million in savings was identified through an accelerated recertification of human services caseloads. The remaining gap was bridged through program reductions, rejections of new initiatives and maximizing revenues. The budget eliminates the toll on the Sakonnet River Bridge but includes a 1-cent gas tax effective July 1, 2015, which would be indexed to rise along with inflation every other year, to help fund bridge maintenance and other transportation infrastructure. As part of that package, the budget creates a new fund for maintenance of roads and bridges and gradually redirect all vehicle-related fees, which currently go to the state’s general fund, to that fund over the course of five years. The plan involves eventually moving all vehicle-related revenue to the fund, and using the fund to pay for all transportation infrastructure costs. In addition however, the cost of the vehicle inspection required by car every other year would rise from $39 to $55 starting July 1 to raise a total of $4.8 million in new revenue, and the fee for having a violation dismissed on the basis of previously clean driving record would rise from $35 to $60, to raise about $600,000. To those funds, the budget adds unallocated proceeds from bonds and funds from the Rhode Island Capital Plan Fund. Beginning in the 2016 fiscal year, the state would gradually start moving revenue from other fees collected by the Division of Motor Vehicles into the transportation infrastructure fund. On a very positive note, the budget reduces Rhode Island’s corporate tax from 9 percent to 7 percent. The governor had proposed a reduction in the corporate tax rate, but only if Congress first passed legislation to allow states to collect “remote” sales taxes for online and catalog sales. That proposal was rejected and replaced with a “combined reporting” requirement for multi-state or multi-national corporations. Under combined reporting, corporations that have businesses in other states or countries must combine all their subsidiaries as a single entity and then pay taxes to Rhode Island based on the percentage of net single sales generated by its operations in this state. Combined reporting is expected to net an additional $2.2 million. 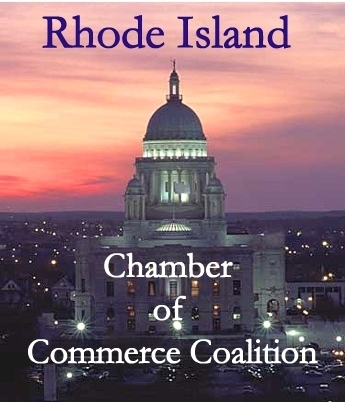 The Chamber Coalition and our partners were strong supporters of the change as it does not penalize RI employers with property and payroll and reduces the tax to 7 percent, making RI the state with the lowest corporate tax rate in New England. To further help make Rhode Island’s tax structure more competitive with other states, the budget raises the credit on the death tax from $921,655 to $1.5 million, and eliminates the “cliff” provision that currently requires heirs to pay taxes on the entire estate if it exceeds the amount. Once adopted, the provision would limit the taxable amount to only the amount above $1.5 million. The $1.5 million credit would be adjusted annually for inflation. Again, the Chamber Coalition and our partners advocated hard for and strongly supports the change. Unfortunately, the budget eliminated the Historic Preservation Tax Credit program which Governor Chafee had proposed funding with an additional $52 million. There was also an increase in the real estate conveyance tax from $2 per $500 of value to $2.30 of value with the proceeds directed to lead abatement programs. Municipal aid was also fully funded and so too was the state’s education aid formula, adding $35.3 million over the 2014 level. Also included is an additional $10 million for the Community College of Rhode Island, Rhode Island College and the University of Rhode Island to extend their tuition freeze. It also includes two new facilities for higher education. One would transform the former South Street Power Station – also known as Dynamo House – in Providence into a nursing education facility and administrative offices for Brown University. Both RIC’s and URI’s nursing programs would be housed in a new 132,500-square-foot facility there, and Brown University would lease about 135,000 square feet for its offices. The construction would be privately funded. The budget authorizes the lease. The other would put a $125 million bond referendum on the November ballot for the renovating and expanding URI’s College of Engineering complex as a means to strengthen a program that attracts top students to the school and plies Rhode Islanders with the advanced skills they need for highly paying jobs in growing sectors. The budget also included a proposal by the governor for a ballot question to allow a $45 million bond to fund construction of a new garage with retail space at the Garrahy Judicial Complex in Providence, but included a recommendation that it not be constructed until at least three of the parcels at the adjacent land formerly occupied by the old Route 195 are under purchase and sales agreement. Another bond question included in the bill would allow $35 million for the construction of Rhode Island Public Transit Authority hubs at the Garrahy complex and the Amtrak station in Providence. That grant is a $5 million reduction from the governor’s proposal. Further, a ballot question for $53 million for numerous environmental and water initiatives and a $60 million revenue bond for a runway extension at T.F. Green Airport in Warwick. From a state hospitals and health care facilities standpoint, the budget provided good news as it avoided the governor’s proposal to slash $43 million in Medicaid funds from hospitals and nursing homes. As to perhaps the most controversial part of the budget, the budget bill included $12.3 million for payment of bonds for the collapsed 38 Studios, as a means to protect Rhode Island’s bond rating and save on interest for current and future debt. No funding however, was included for any redevelopment proposals for the “Superman building” in downtown Providence. Last, the budget did include some of the money that Twin River had requested from the state’s share of video lottery terminal income to boost its marketing efforts at a time when the Lincoln gaming facility will soon face increased competition from expansion of gaming in Massachusetts. Twin River had requested $3.6 million more, but the committee granted it $1.1 million as a means to protect one of the state’s biggest sources of revenue. In a major victory for the Chamber Coalition and our partners, legislation to reinvigorate the delivery of career and technical education passed in the last few hours of the session. The goal to set up two model sites for CTE complete with an accompanying private 501 C-3 funding mechanism and a new governing structure won approval after being amended slightly by the Senate and accepted in concurrence by the House. The Chamber Coalition had been working with a number of stakeholders and the RI Department of Education to create the concept, help write the legislation and work towards funding. The legislation establishes a new permanent Rhode Island board of trustees on career and technical education which would assume and expand upon the duties of the former Rhode Island state advisory council on vocational education. The board may take control over a career and technical high school at the request of a school board serviced by the school. As mentioned, the bill also creates the Rhode Island CTE trust on career and technical education to help raise funds for and to promote partnerships to provide for student learning in career and technical education. Elsewhere on the education front, a couple of set-backs. The Chamber Coalition and our partners have supported Commissioner Gist in her efforts to increase school performance and workforce/secondary education readiness as well as excellence in teaching standards. In particular, we have supported strong requirements for high school graduation and continued teacher evaluations. The General Assembly sharply rebuffed the commissioner by disallowing the NECAP tests as a graduation requirement (suspended until 2017) and limited the number of evaluations that certain teachers need to undergo. Several good, Chamber Coalition supported pieces of legislation concerning the reform of our state’s regulatory environment were passed by the General Assembly. Among the more important victories, three separate bills that will (1) Authorize the office of regulatory reform to review state and local regulatory and permitting processes and provide online maps, flow charts, and other visualizations; (2) Update the Administrative Procedures Act to align the review of administrative rules with the refiling of rules and regulations process; (3) Amend the process for submission of economic impact statements, and eliminate a number of exclusions which were set forth in the previous statute. There is still much work to be done in the streamlining of local permitting and other processes and of course, we eagerly await the new alignment of the office of regulatory reform, but these bills were positive steps for business. On the defensive side, the Chamber Coalition and our partners were grateful that several anti-business, anti-consumer bills were rejected by the General Assembly. We joined in advocacy against bills that would require business tax credit recipients to provide the state with highly proprietary financial business records to document any benefit to the state resulting from the issuance of the tax credit; repeal current law and allowing class action lawsuits to be brought against any businesses that are regulated in any way by the state; increase the amount paid for auto body repairs and reduce the right of auto insurers to participate in the auto insurance claims process. The Chamber Coalition is disappointed however, that legislation we opposed which would require banks/credit unions/other mortgage holders to keep tenants in place at homes where the mortgage holder foreclosed on the owner, was approved by the General Assembly. The financial services industry and the Chamber Coalition opposed the bill in part because it forces the industry into the landlord/tenant business. A major victory for the business community and our friends and allies in the hospitality industry in particular, came as the General Assembly included a provision in the budget that prohibits municipalities from enacting their own minimum wage. This Chamber Coalition supported provision was included to effectively stop the City of Providence from instituting a $15 minimum wage for hotel workers. As the State House is a place full of compromise though, the state minimum wage will be raised on January 1st of next year for the third time in three years, to $9.00 per hour. The Chamber Coalition did oppose that proposal. Other wins in the labor and workforce arena included a decision by General Assembly leaders to reject the so-called “apprenticeship standards for public contract bids” legislation in favor of a study commission to report back early next year on its findings. Additionally, earlier in the session, the bill that would have redefined an independent contractor in the state was withdrawn. Also noteworthy is the successful drive (supported by the Chamber Coalition and many others this year and for several past years) to exempt the Job Development Fund from indirect cost recovery on restricted receipts accounts. That action will free more than $1.2 million for use in job training and work experience programs. The following is a summary of the most prominent “health care cost” issue that the General Assembly dealt with this session. Although the Chamber Coalition supported the legislation, we were aware that many self-insurers (particularly Lifespan) opposed the bill. Rhode Island’s health insurance market is divided into two categories: insured and self-insured. Insured refers to those who have obtained commercial insurance either through a large group, small group, or on an individual basis. Under these plans, insurance companies collect premiums from subscribers and assume the risk for paying covered medical claims. Self-insured describes groups or employers that function, in effect, as their own insurance companies. These companies collect insurance premiums from their employees to cover the cost of future medical claims and the administrative service charges assessed by commercial insurers for the administration of the health care network and processing of claims. The immunization programs for adults and children are funded through an assessment on fully insured lives. These charges are only paid by people holding commercial health insurance. Self-insured groups are exempt from the health insurance premium tax but are able to reap the full benefits of the immunization programs. The problem is, that in the last decade, the number of fully insured –commercial health insurance- subscribers has dramatically declined. 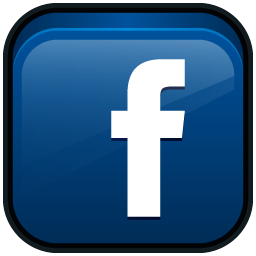 There has been a decrease of more than 100,000 of these subscribers in that relatively short period of time. The cost for providing the overall immunization program hasn’t decreased, however. In fact, even without inflation factored, the price has risen substantially. So, the fully insured marketplace (translation: employers with 50 or fewer employees) has had to bear a higher percentage of the cost for a more expensive service. Replace the current tax methods that are based primarily on small business and individual health insurance premiums with one based on coverage of Rhode Island residents (a per-capita contribution). Spread the collection over much more of the population benefiting from the programs. 1. Office of Health and Human Services receives cost information from the Department of Health for the immunization program, the Department of Human Services for the child services programs, and the Department of Taxation for the general funds. The Secretary announces the per-capita rate. Insurers for the direct pay, small group, and large group fully insured markets. Medicaid programs – both the Fee For Service program and RITE CARE plans. Third Party Administrators (TPAs) on behalf of self-funded plans. 3. Payments would be made to the state and placed in restricted accounts, as they are now. 4. Allows pre-payments to assist Health in timely purchasing of immunizations and to assist Taxation to mirror the timing of current payments. Hospitals do not collect and pay it as service providers. Employers do not make separate payments to the state. The insurers and third-party administrators make the payments. Raises the same amount of revenue as the current mechanisms. Municipalities would not have any liability. People who are uninsured would not have any liability. Starting July 1, 2015, funds are collected for immunization and child services programs. Starting January 1, 2016, collect the general revenue funds. Finally, the budget for FY 2015 did not include a funding mechanism for RI’s version of “Obamacare.” The Chafee administration concluded –and the General Assembly agreed- that federal funds would be enough to sustain the program, known as Health Source RI, through the end of the 2015 fiscal year. There were some concerns that the federal government expected the state to contribute $4.7 million in order to access those federal funds, but at the urging of RI officials, that request was quickly dropped.